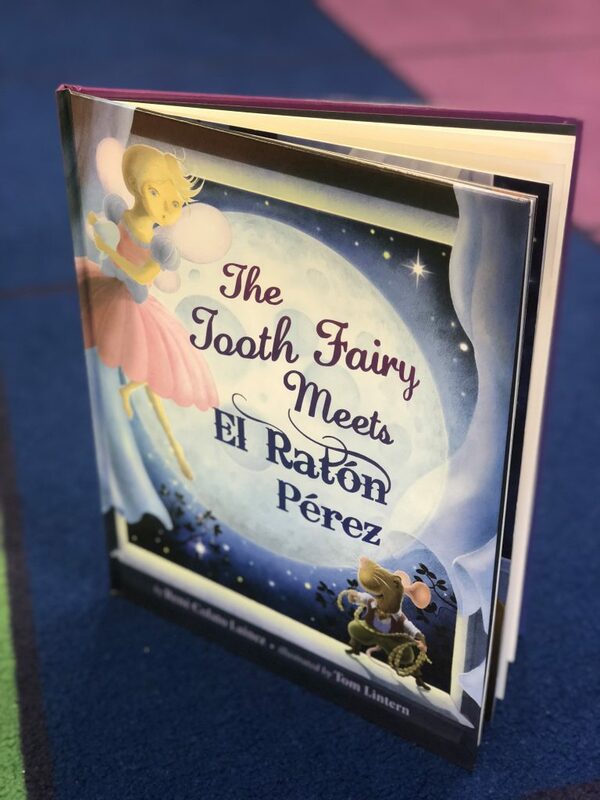 With 8 ESL students in my classroom, I thought a unit focused on both the Tooth Fairy and El Ráton Pérez would be a hit. It certainly was! 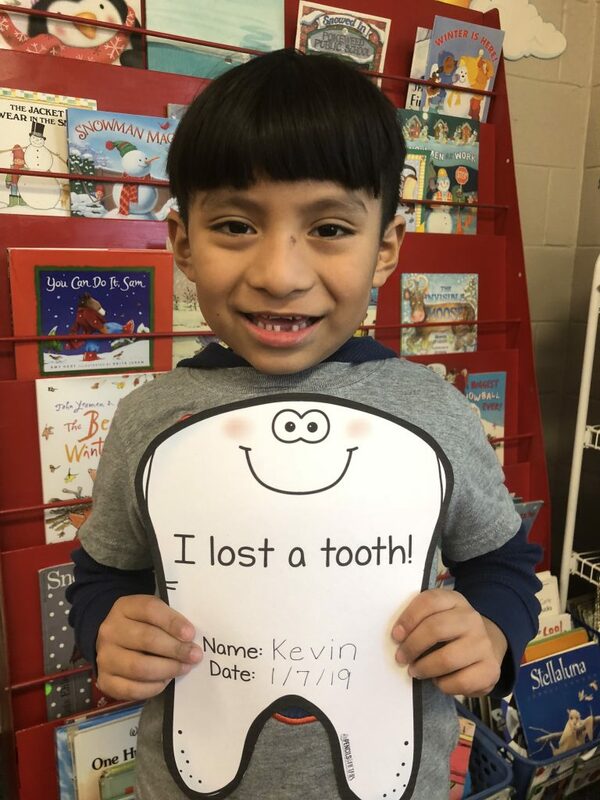 The book tells the story about a little Mexican-American boy who loses his tooth. 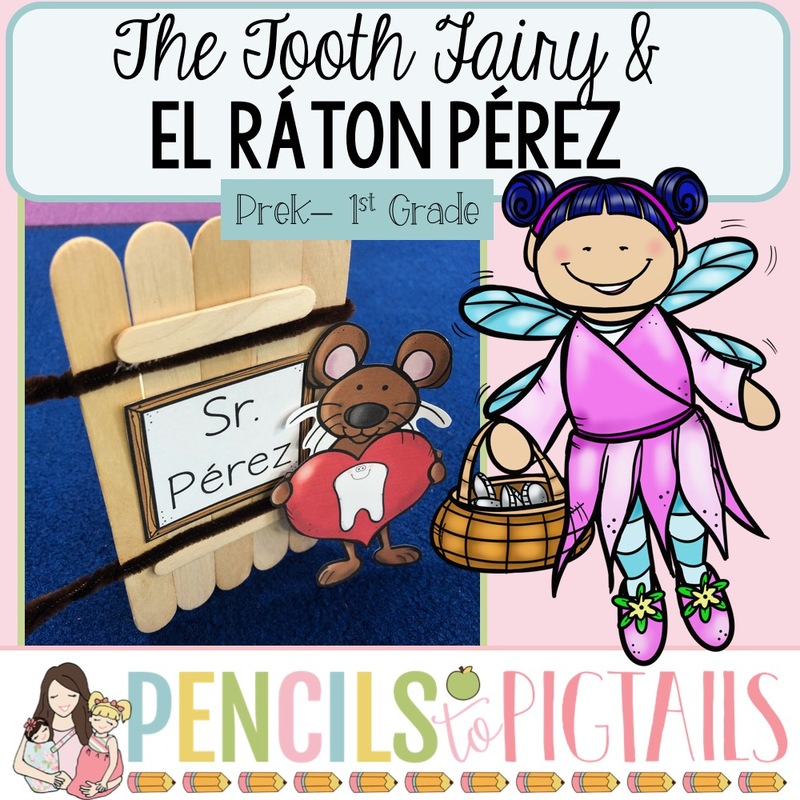 Both the Tooth Fairy and El Ráton Pérez arrive to collect the tooth. A little argument ensues with an adorable resolution. 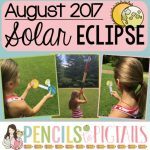 I have created a resource on TPT that goes along perfectly with the book. It does stand alone if you have no interest in buying the book but it also makes a great companion to the story. 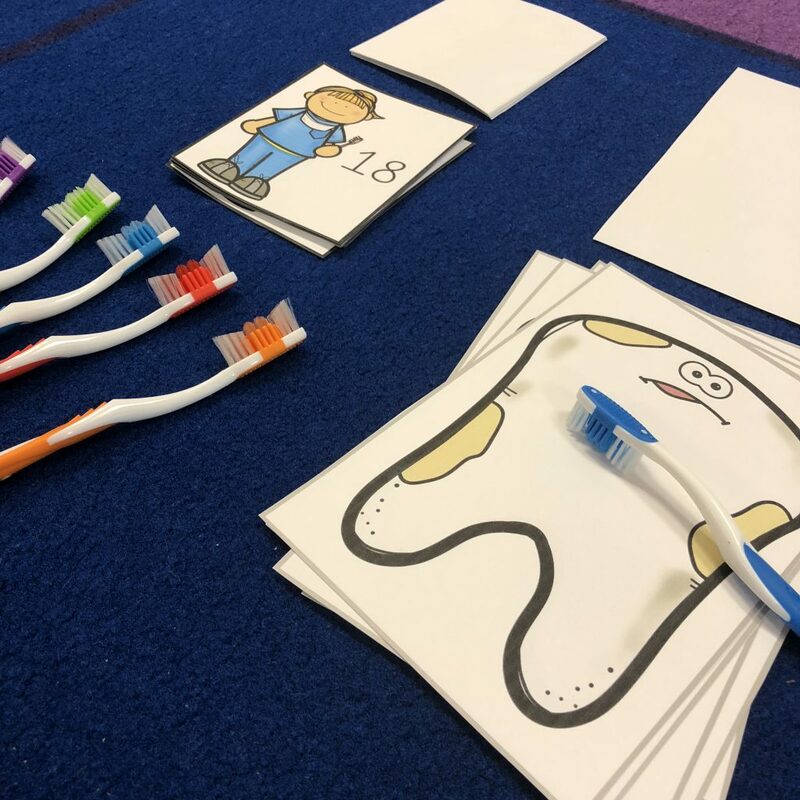 This unit was a MAJOR hit with my kids and coincided perfectly with Dental Health month which we celebrate in February. You can head over to my TPT store to see more of what’s included by clicking on the product cover above. 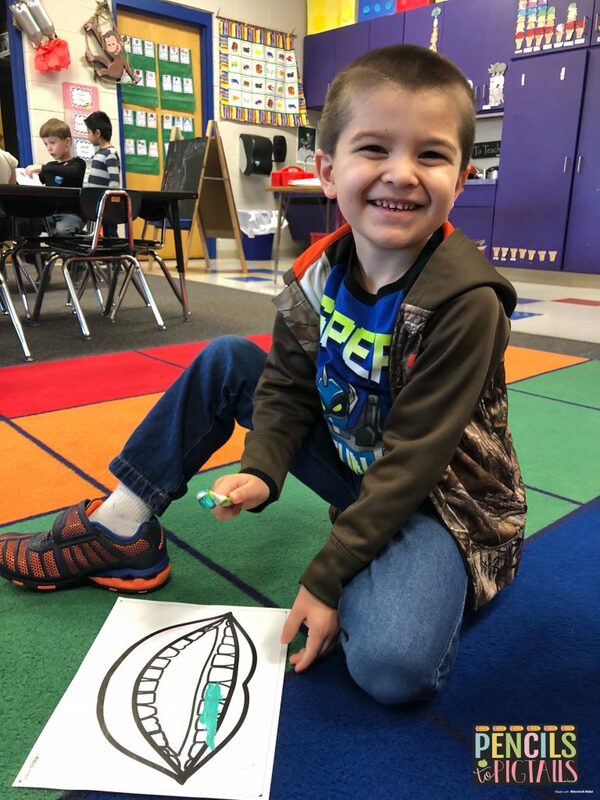 In this blog post, I want to show you a first hand look of everything we did in our classroom! Our Very Own El Ráton Pérez’s door! 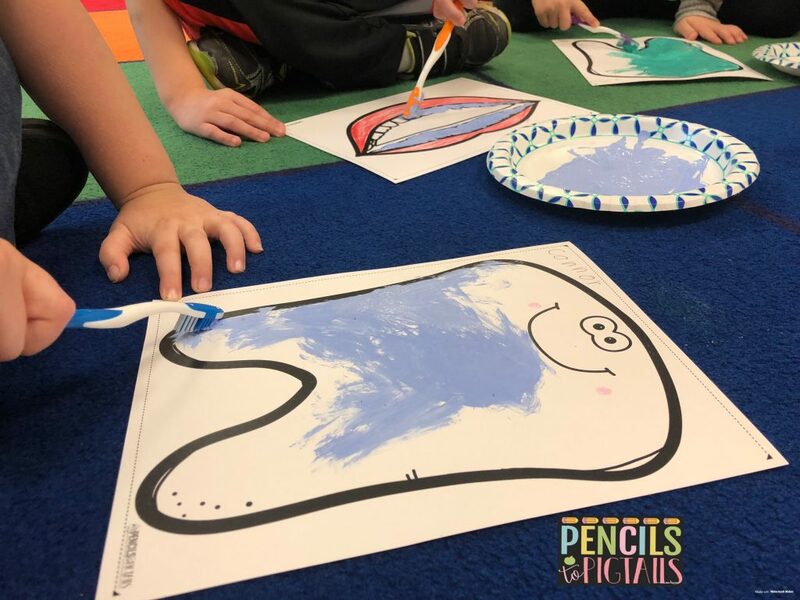 After reading the book, I asked if any students had a wiggly tooth. 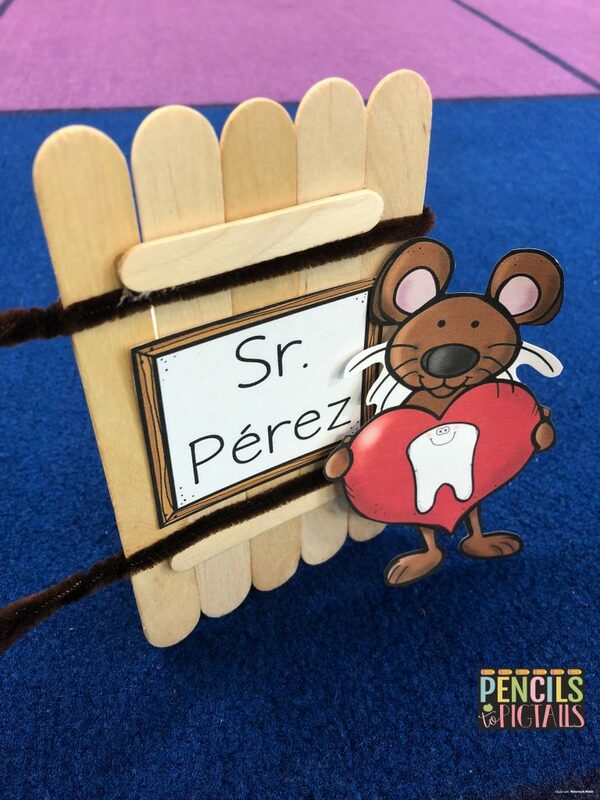 Several of the students raised their hands and I said excitedly, “That means El Ráton Pérez’s door has probably appeared!” I explained that sometimes his door magically appears in our classroom when a student has a loose tooth. 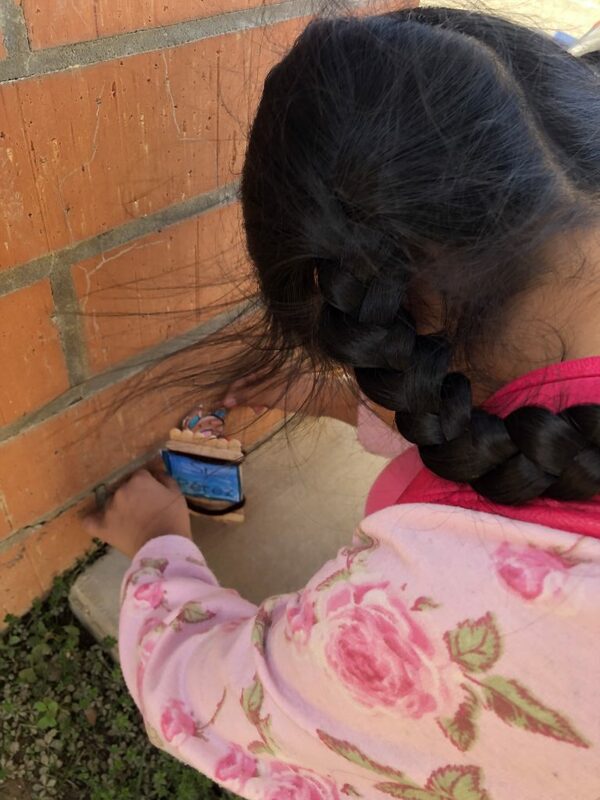 I asked the kids to help me hunt for it and this little set-up was waiting in a corner of the classroom. I know, I know! This is totally unnecessary so don’t feel pressured to make anything like this but it was so fun for me to go shopping for dollhouse accessories that would work! 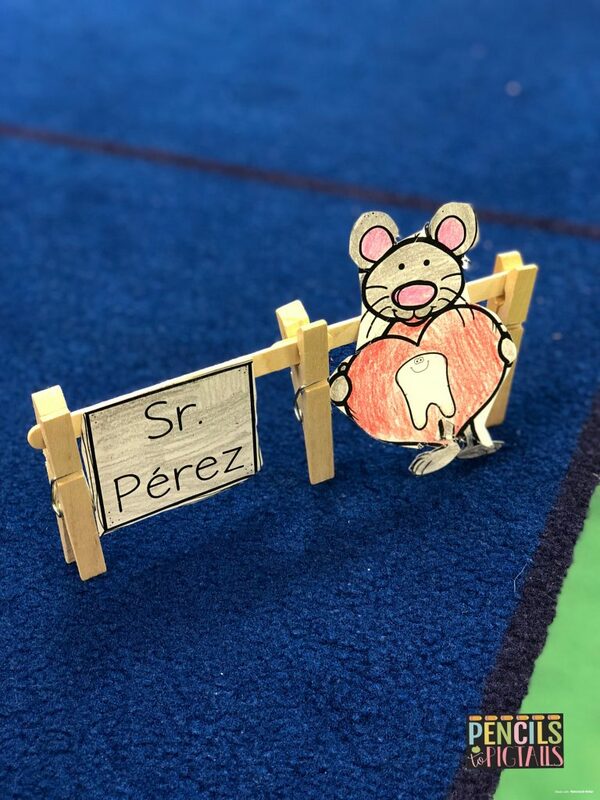 It really kicked off our unit in a fun way and my students were THRILLED to find his door sitting there. 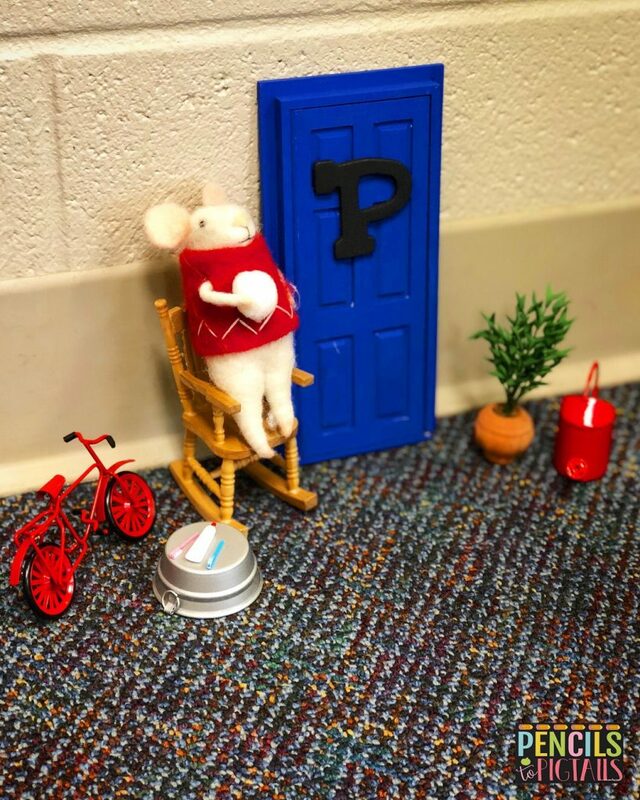 Every now and then when they weren’t in the room, I would move the toothbrush or the bicycle and they had so much fun checking to see if their little mouse had been out of his door lately! We completed a STEM activity where students made and executed a plan to build a door that opens and closes. 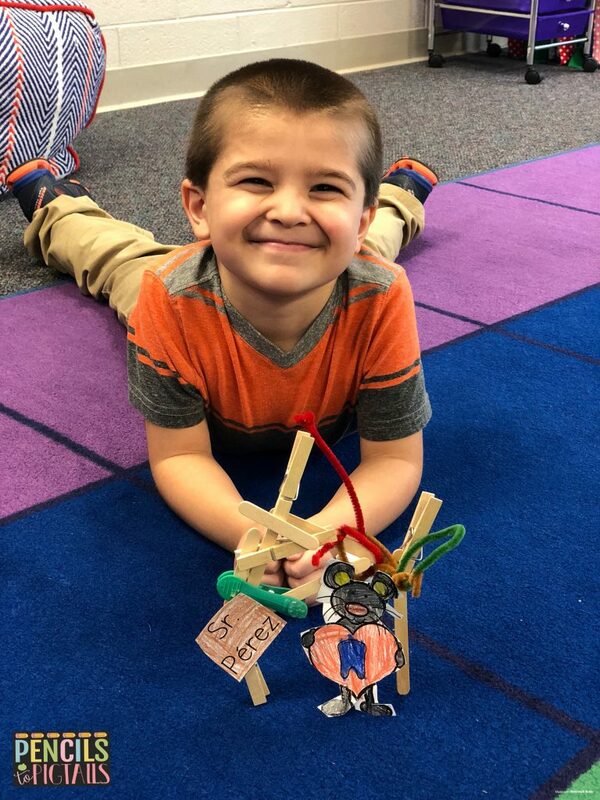 I wanted them to each have one to take home so that they could have a door set up in their rooms so instead of working in partners like we usually do, the students each created his or her own door. 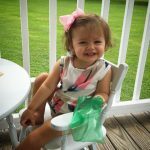 Let me share some of the finished projects with you! Remember this is kindergarten! 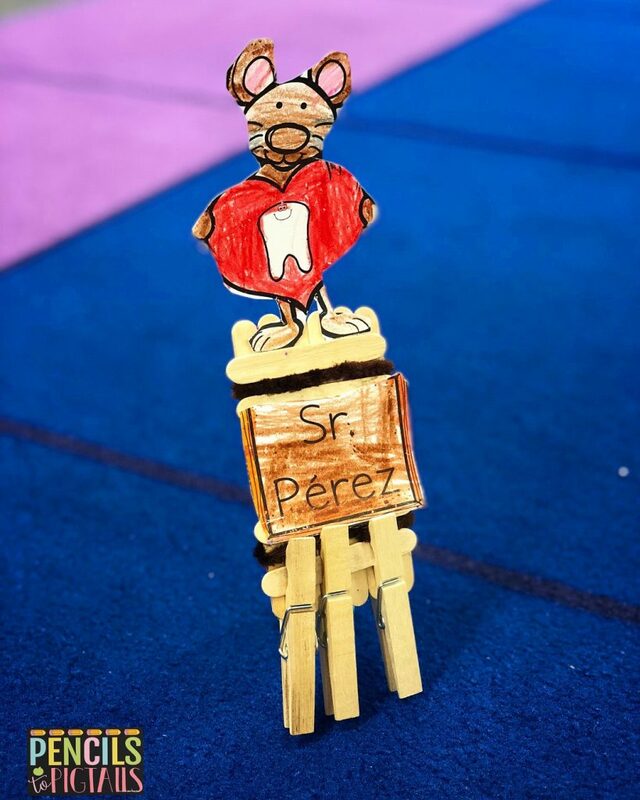 While the goal was to build a door that would open & close, we celebrated any of the students who built a door for El Ráton Pérez! As you can see, the child above had a different idea of how to build the door. The other children were quite jealous of his creation and started trying to imitate it. I made the one above. If you taped the ends of the pipe cleaners to the wall, you can see how the door would open and close. I didn’t show this to students and some of them came up with this on their own! Aren’t they precious? The resource includes a letter explanation for parents. I wanted to be sure that when the students came home with their doors, that the parents knew just what to say to them. 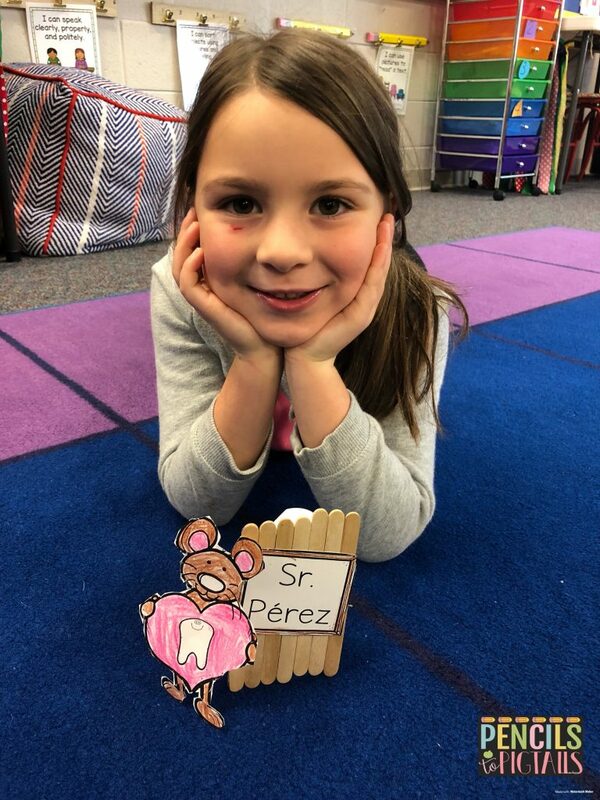 I even encouraged the parents to play along by leaving a note from the Tooth Fairy & El Ráton Pérez! You can see a little different approach above too! I thought this one was rather clever! She showed me how her door would open and close using the paper as a flap. Isn’t this adorable? Later I saw this same little girl checking to see if her door would work outside. 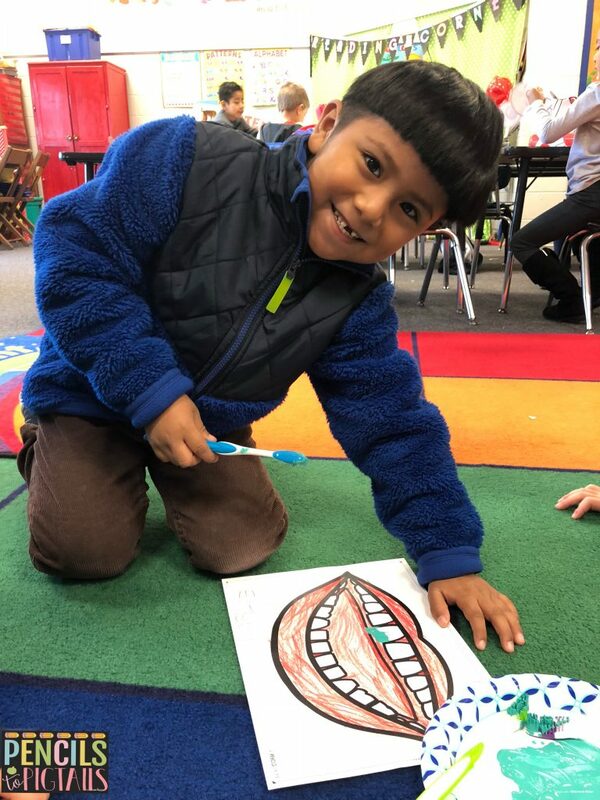 The kids LOVED “painting” large teeth with toothbrushes. Isn’t his smile the sweetest? It makes my day when I see it! 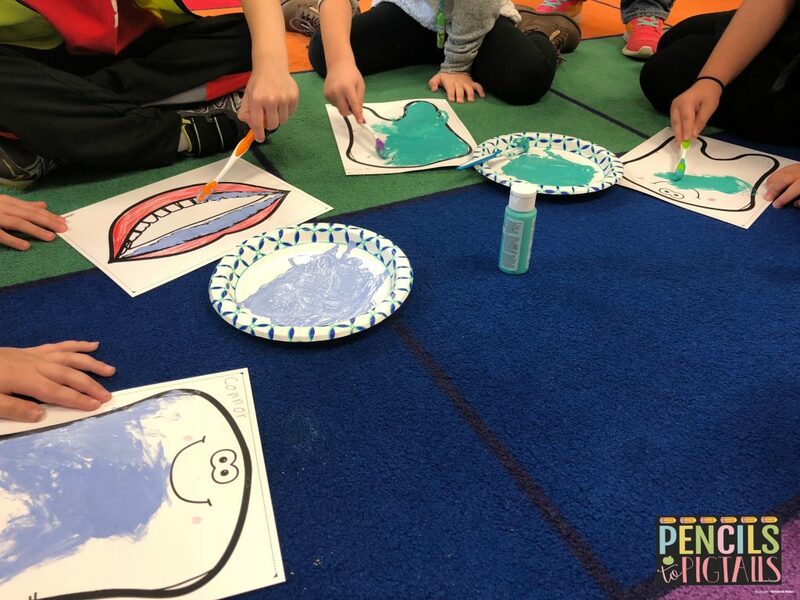 So much fun and the perfect time to talk about the correct way to brush your teeth! I’ll quickly show you a few more things we were able to do with the unit. There are so many activities, its hard to show you all of them! I let the kids use photo props when they lost a tooth. 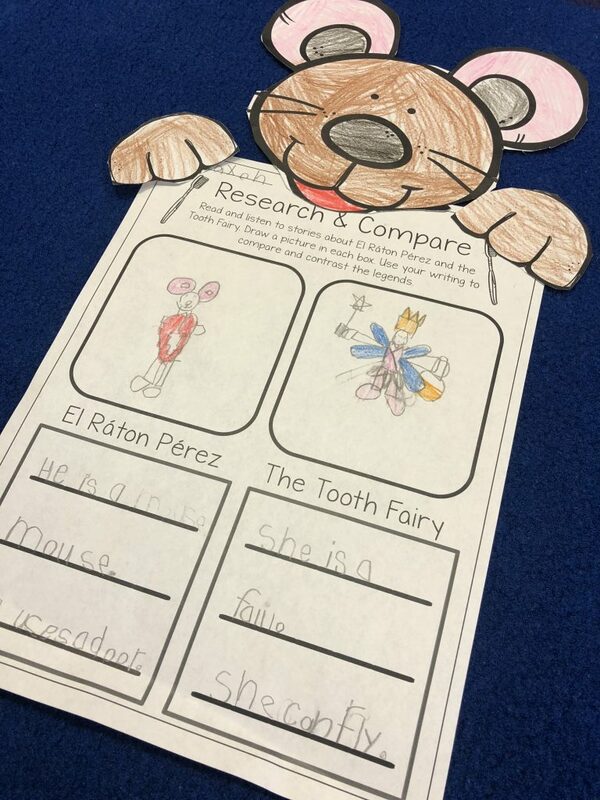 We compared the Tooth Fairy and El Ráton Pérez. This colored example is included in the resource! 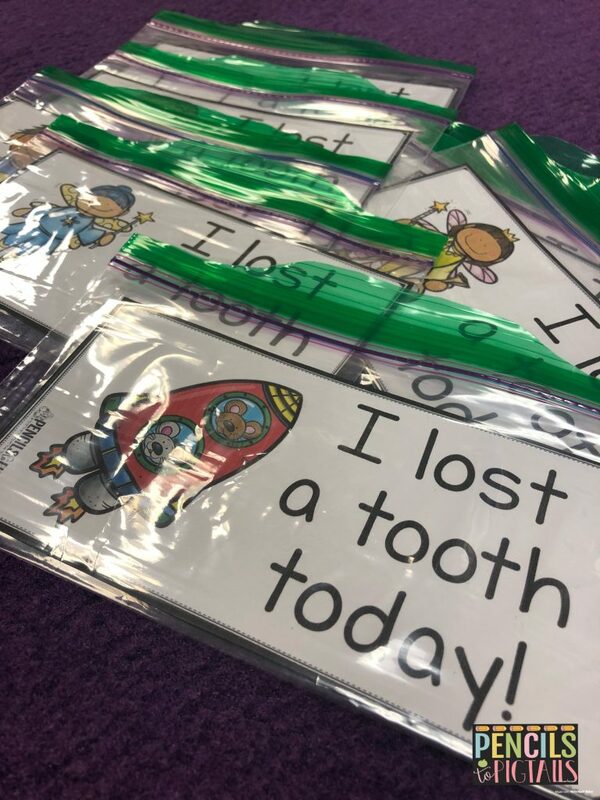 And I created the cutest “lost tooth” bags so when students lose a tooth, I finally have a place to keep them and send them home easily instead of frantically searching for something! 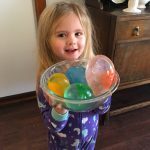 I loved this next activity! I let the girls work on making wands and crowns out of construction paper while I met with the boys to help them fill out El Ráton Pérez assistant applications. Later we switched and the boys worked on their headbands while the girls filled out applications to be the Tooth Fairy’s assistants. 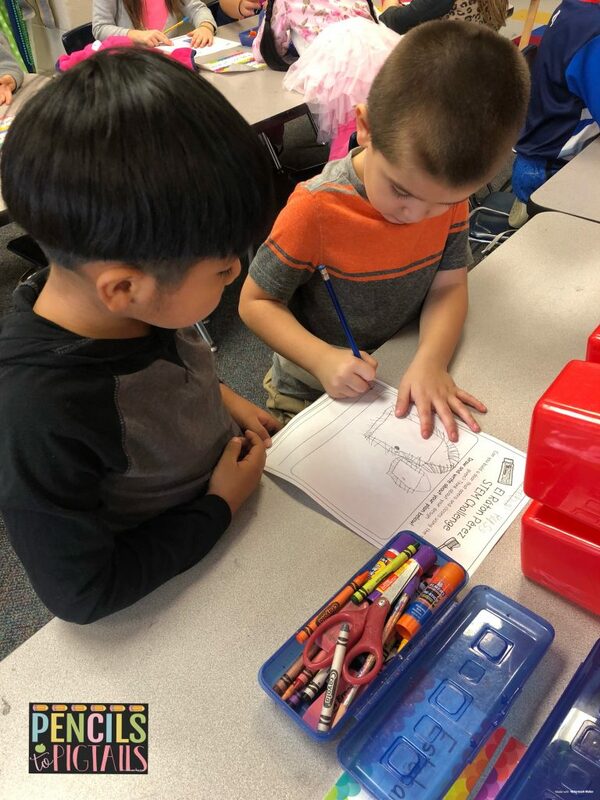 They LOVED this writing activity! 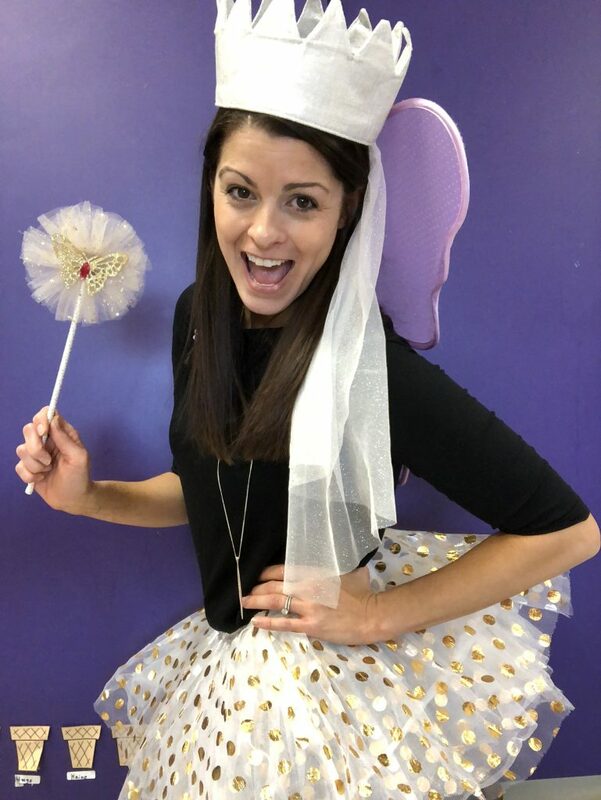 I raided my daughters’ dress-up trunk and came up with enough tutus for the girls. 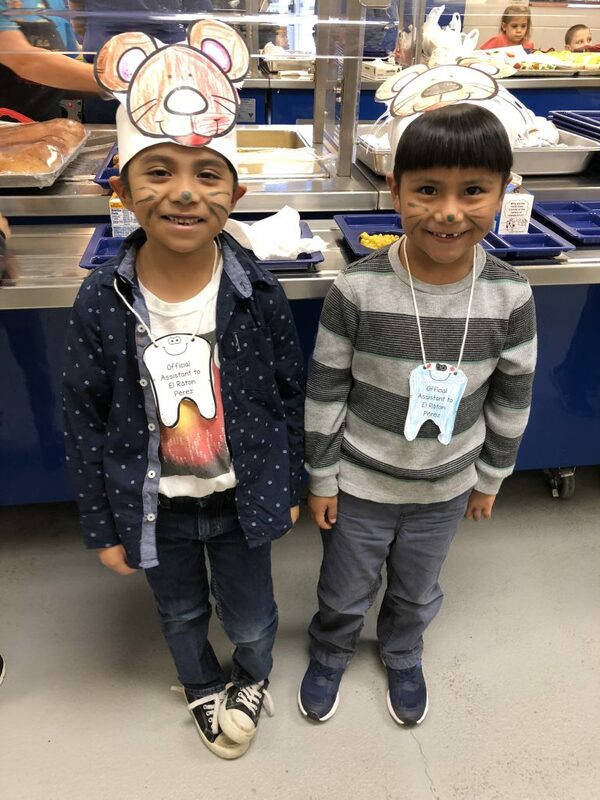 You will find the applications, headbands, and teeth necklaces/badges in the resource. 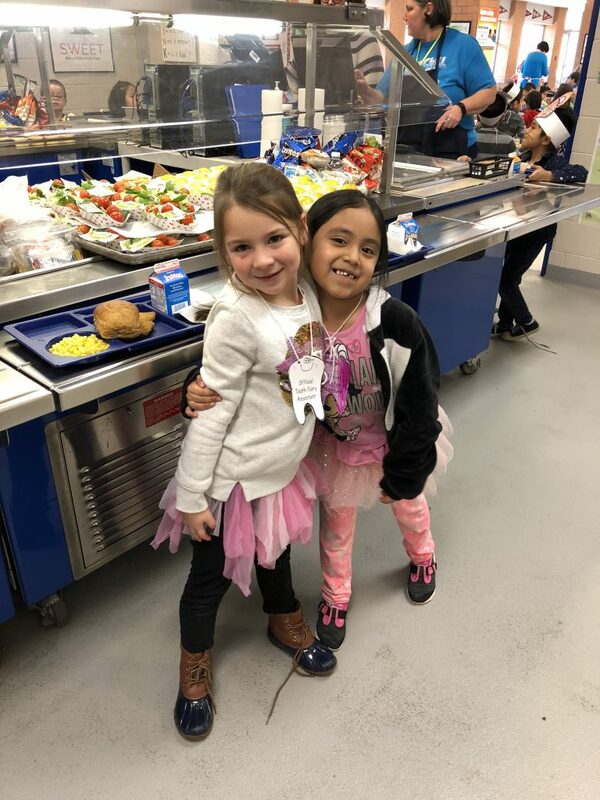 They had so much fun dressing up one day! 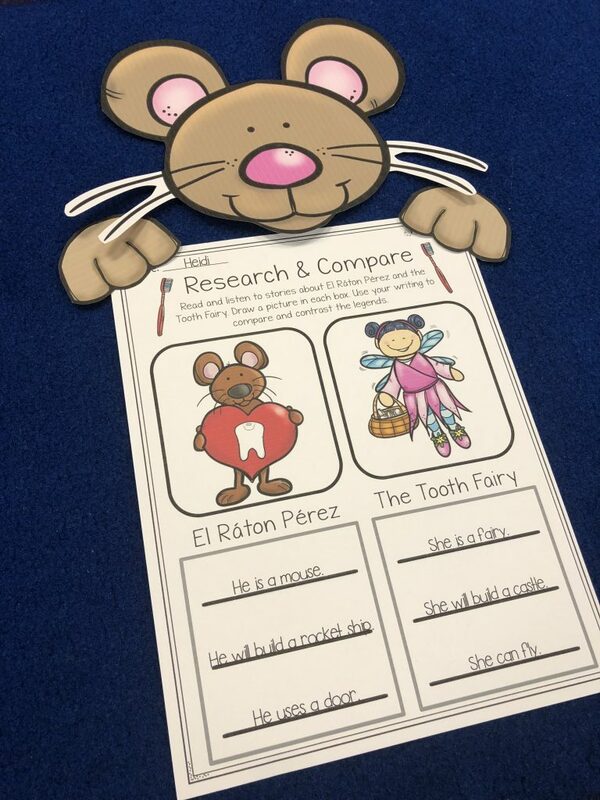 My little tooth fairies above and my little mice below! 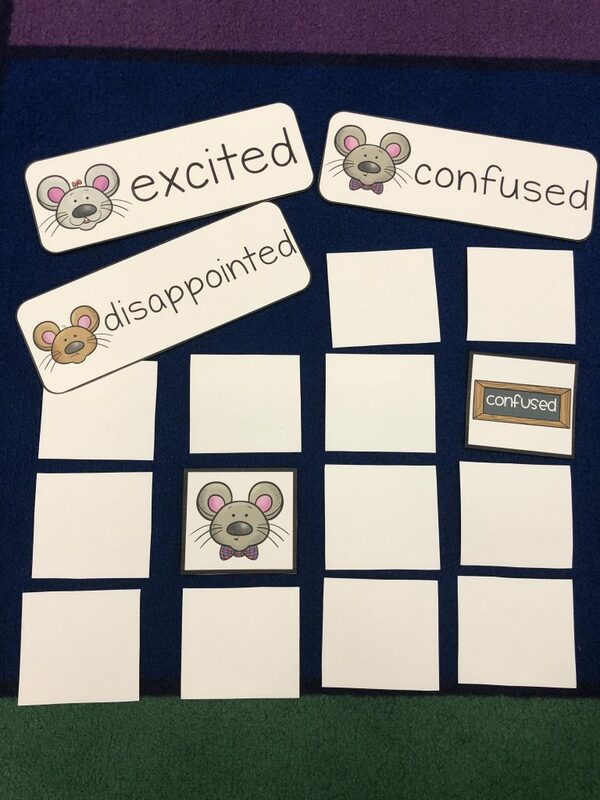 You will find some super cute math activities and a mouse feelings memory game! See what I mean about there being too much for me to show it all to you? 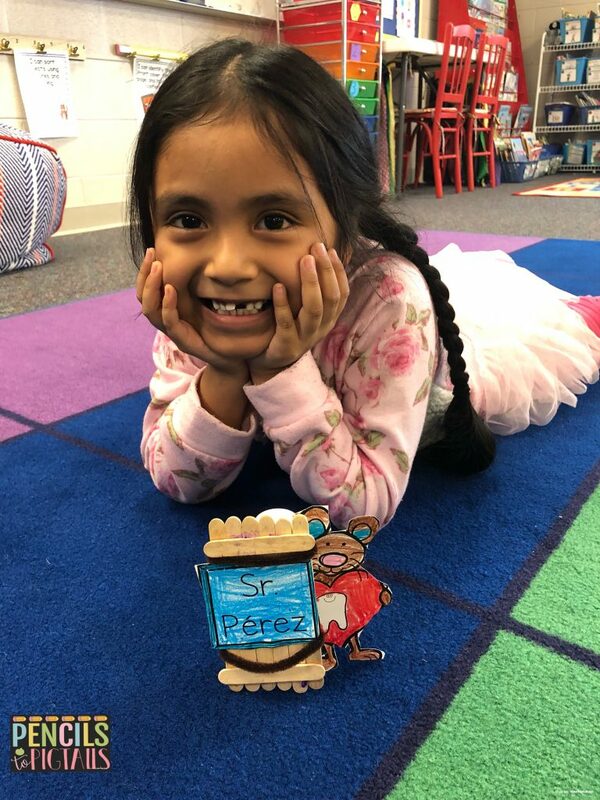 Other things you will find in the resource include word wall cards, more writing prompts, individual books, a variety of class books, and so much more. I hope your students LOVE this unit as much as mine did! 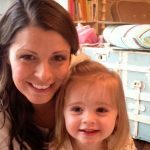 Happy Teaching & Mommy-ing this week sweet friends!